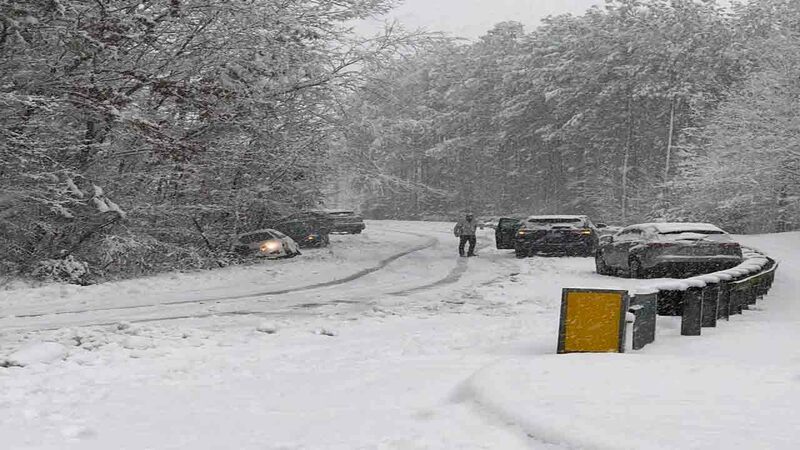 NORTH CAROLINA (WTVD) -- State officials are warning residents that even though roads have been scraped by plows, driving conditions are still not safe. Wintry weather fell upon most counties around North Carolina on Wednesday, leaving behind inches of snow and icy roads. As of Thursday morning, troopers with the North Carolina State Highway Patrol responded to more than 2,000 collisions and more than 35,000 calls for assistance. Many of those calls came from areas in and around the Triangle, including a wreck on I-85 North in Orange County. During a news conference Thursday, Governor Roy Cooper urged drivers to stay off of roadways unless the situation is dire. His hope is to allow the sun to melt ice and snow and allow crews with North Carolina Department of Transportation extra time to clear roads.